The wide adoption of social media has made it easy to report on breaking news events without ever leaving the comfort of your desk. There are witnesses to be contacted through Instagram, from-the-scene photos to be embedded, and relevant tweets to be collected. This content, once curated, can be packaged into a neat little story and shared widely on Facebook. Don’t get me wrong: I don’t expect this kind of social aggregation-heavy content creation to go anywhere. But next year, I think we’ll start to see shoe-leather, on-the-ground social reporting come into vogue, as platforms like Snapchat, Instagram, and Facebook Live facilitate and reward it. And why should reporters actually leave the office — you know, with their actual bodies? Because it produces better content, and because audiences that can go anywhere to get their news are increasingly demanding to be both informed and moved. Using platforms like Periscope or Snapchat, it’s nearly impossible to create compelling news-oriented content without being where the action is. Facebook and YouTube have also recently introduced live, 360-degree video because they see the value in allowing journalists to engage directly with their audience and develop a deep rapport with viewers that makes them want to come back. There’s just a certain authenticity to the form that knocks pre-produced videos out of the water. Cooper Fleishman, an editorial director for Mic.com, told me that some of the site’s best-performing videos are face-to-camera selfie videos, narrated by reporters. He said people “want to feel like they’re there with the reporter,” and that requires journalists to get out there. Business Insider’s INSIDER brand has used live-video platforms to get viewers into cool places both in the U.S. and abroad, including the State Fair of Texas and the Blue Lagoon in Iceland. 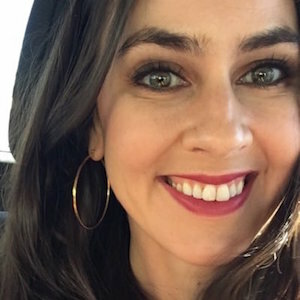 Talya Minsberg, a social strategy editor at The New York Times, spoke of a “certain intimacy” to face-to-camera videos that viewers really enjoy and respond to. That’s also been my experience. When covering everything from large-scale protests, to tech conferences, to the 2016 election, I’ve found that in-the-moment content and livestreams are often more compelling and reach a larger audience than the stories I eventually file (though there is certainly value in both). In 2016, any Macedonian teenager can quickly aggregate a viral news story. That’s why it’s so important for people to leave their desks and go be a viewer’s eyes and ears. And, in this increasingly competitive media landscape, I expect publishers to recognize that competitive advantage and encourage their journalists to run wild. Taylor Lorenz is the director of emerging platforms at The Hill. Dec. 14, 2016, 11:56 a.m.